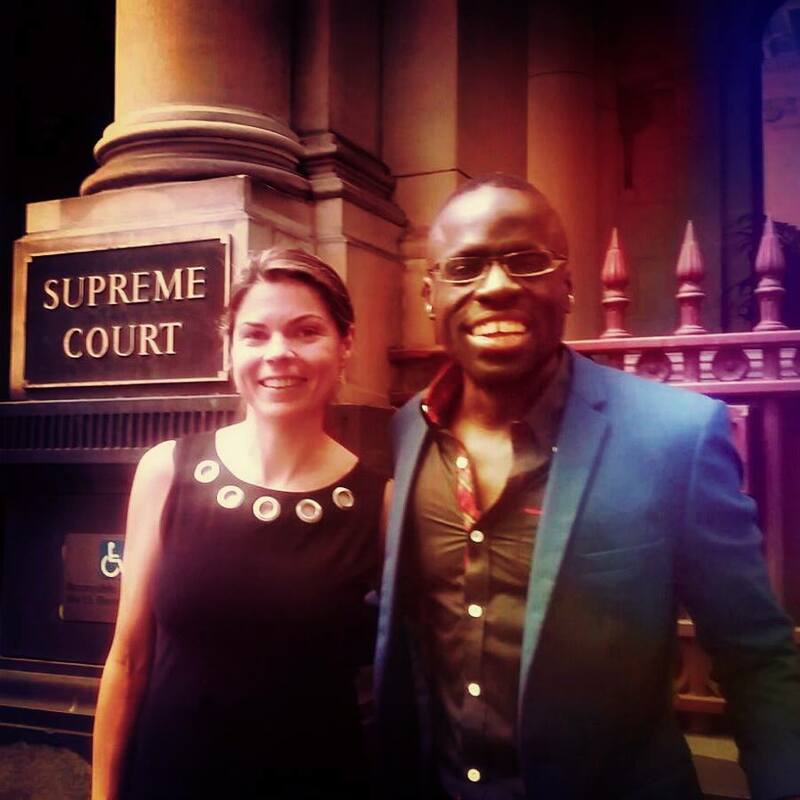 AFRODOWNUNDER wins racial discrimination case against Melbourne nightclub at the Supreme Court! “On Thursday 9th February 2017, a Supreme Court judge made a landmark final ruling and found Melbourne Nightclub ‘Inflation’ guilty of racial discrimination when they cancelled one of our Afrodownunder events because of our race. In October 2011, I on behalf of Afrodownunder, booked to hold an event at ‘Inflation’ through music agency iDJS Entertainment. However, just 5 days prior to the event, Inflation’s management cancelled this event, refusing to host it “due to the fact that the majority of patrons would be African”. Since 2007, our community organisation Afrodownunder has been embracing, engaging, uplifting and strengthening our African communities here in Australia through the co-ordination of events and community activities. As a full-time professional DJ for predominant anglo corporate and private events, I had observed a glaring absence of quality events catering to the African communities. As such, I stepped-in and the co-ordination of Afrodownunder’s events were ultimately founded, starting from humble beginnings but soon expanded to encompass the mounting interest and immense attendance at our social gatherings. The events incorporated nightclub, family and other social events which embraced all Africans and friends of Africa in Melbourne, across Australia and even internationally, and though it would have been everyone’s ideal to hold these events frequently and far-reaching, they needed to fit around the demands of my profession and constraints of the booking/venue processes. All in all, the course of the consistent organisation of these events were not always without difficulty, but the importance of fostering a sense of community far outweighed the challenges we faced, not unlike that which ‘Inflation’ thrust to us when they cancelled our event because we were African. And so began our path to defend our collective fundamental human right of equality and pursue justice on behalf of Afrodownunder and our wider African communities. We initially endeavoured to have the matter formally addressed through the Victorian Equal Opportunity & Human Rights Commission, however these proceedings were deemed unsuccessful by that board as Inflation failed to uphold their responsibilities stemming from the conciliation process. In our vehement commitment to defend equality and advocacy for fellow Africans, we sought legal representation through Flemington and Kensington Community Legal Centre (FKCLC) and escalated this matter to the Victorian tribunal. We embattled through 2 and a half years of arduous legal proceedings to have our case formally heard in a 3 day tribunal hearing in April 2015. It took a little over 5 months for a ruling to be made, which the tribunal member delivered in October 2015 where she favoured our testimonies, slammed those of Inflation labelling some of their accounts as “inconsistent, grossly exaggerated and unbelievable” and ultimately ruled that Inflation were guilty of racial discrimination. Though we received a positive outcome through VCAT’s ruling, there were aspects in that ruling which our legal team believed the law had not been applied to its fullest extent, and as such we appealed to have the matter heard in the Supreme Court, which was held in July 2016. And when the final ruling was passed down on the 9th February 2017, we achieved yet another momentous, and now ultimate, result! It’s been a long road to justice, but the time has come where people are coming together to stand against any form of racial discrimination; no longer will we remain passive and allow the cycle of racism to continue. I am in a privileged position as a professional DJ to attend many venues to provide a platform of entertainment and engage diverse crowds, and it has become glaringly apparent that I only observe or experience racial confronts and venue/administrative conflict at African and African-related events. The Supreme Court decision surely now puts all venues on notice that their event booking processes and door policies should not, cannot and must not discriminate on the basis of race. Once more, on behalf of Afrodownunder, I would like to extend a deep and sincere gratitude to those who courageously stepped forward to support the cause. A very earnest thank you of course extends to our legal team who worked tirelessly with us to achieve this honourable and historic outcome; namely our barrister Ms Krystyna Grinberg, our team of legal counsel including Mr Nick Boag, Mr Matt Wilson, Ms Tamar Hopkins and Ms Sophie Ellis (all hailing from FKCLC), as well as Erin, Julian and all the other legal volunteers who gave their time to support our cause. And not least, thank you to Bruce McNab who has been a strong advocate for the cause in every capacity from the beginning. Once again, to my fellow #Africans, and to anyone who ever experiences any form of discrimination or other injustice, I hope the perseverance and resilience we have shown throughout this fight for equality empowers you to find the courage to confront and overcome your own struggles. Do not be deterred by the unknown journey, what-ifs or the nay-sayers! Stay resolute in your stance and know you deserve nothing less than the exact equality that we assuredly are all entitled yet sadly some denied, and may integrity be at the heart of our common pursuit for all that is right and just.